Venue: Naeba Ski Resort, Yuzawa-cho, Niigata Pref. * Each General Admission ticket valid for 1 person’s entry to the festival. * Admission free for children under the age of 15. Must be accompanied by an adult. 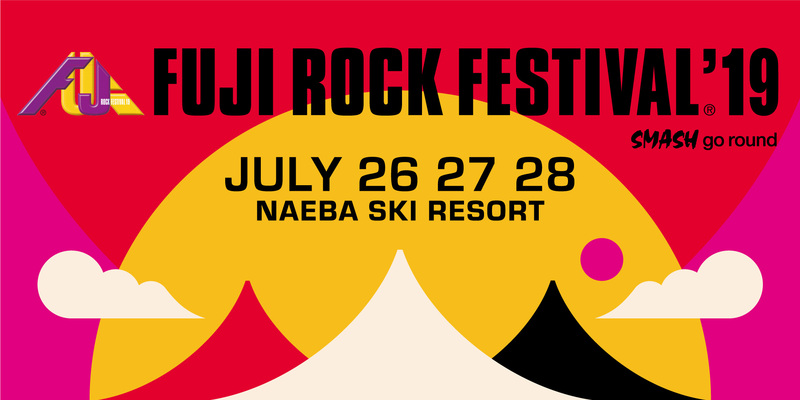 * Shuttle bus service departing from the JR Echigo-Yuzawa Station to the festival is ¥500 per person. Return trip is free of charge. * Our site is not sell parking ticket. The person who purchase ticket in our site, please use public transportation to access the festival. * Those who want to purchace "Campsite Ticket", please click here. * Please note that changes or cancellations cannot be made after application of purchase. * Be sure to purchase your ticket at a authorized ticket outlet. * The organizing committee is not response for any trouble arising from purchasing tickets at unauthorized outlets and does not guarantee the validity of such tickets or purchases. * After exchanging your ticket, the wristband will be the proof of your ticket purchase. Wristbands which have been removed will be deemed invalid so be sure to not remove your wristband until departing the festival. * Tickets and wristbands will NOT be reissued under any circumstances. Please also note that those who lose their ticket and/or wristband at the festival will be asked to leave the site or repurchase a ticket. * Ticket sales will finish once tickets are sold out. This applies to all ticket types. * ￥2000 charge included in ticket(s) price. * Ticket(s) will be exchanged on the day of event . At the time of exchanging the ticket(s) ,the person who purchase the ticket will be required to show a valid photo identification (ex: passport) .